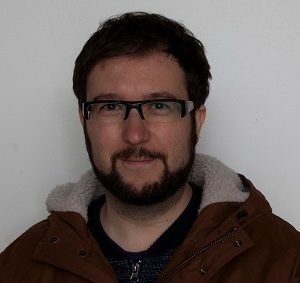 Jordi Llobet is a researcher of the Microfabrication and Exploratory Nanotechnology group at INL. Dr. Llobet investigation activities are focused in the areas of Nanofabrication, Electron Microscopy and Lithography for the development of new Nano and Micro Electromechanical Systems (NEMS and MEMS). He is also the responsible of the Cleanroom Nanolitography bay at INL. He obtained a degree in Industrial Electronic Engineering by the Universitat Politècnica de Catalunya (UPC), Spain; a degree in Material Engineering and a M.S. degree in Nanotechnology, both at Universitat Autònoma de Barcelona (UAB), Spain. He received the Ph.D. in Material Science from the UAB. He worked as Clean Room Nanolithography Engineer Researcher at Institut de Microelectrònica de Barcelona (IMB-CNM CSIC), specialized in Focused Ion Beam (FIB), Scanning Electron Microscopy (SEM), Energy Dispersive X-Ray (EDX) analysis and Electron Beam Lithography (EBL). His PhD research was focused on the development of a new method for the fabrication of suspended silicon structures defined via FIB Ion Implantation to produce NEMS, transistors and Single Hole Transistors. Resonant tunnelling features in a suspended silicon nanowire single-hole transistor. Llobet, J.; Sansa, M.; Lorenzoni, M.; Borrisé, X.; San Paulo, Á., Pérez-Murano, F.
Tuning piezoresistive transduction in nanomechanical resonators by geometrical asymmetries. Sansa, M.; Fernández-Regúlez, M., Llobet, J.; San Paulo, Á., Pérez-Murano, F.
Llobet, J.; Sansa, M.; Gerbolés, M.; Mestres, N.; Arbiol, J.; Borrisé, X.; Pérez-Murano, F.
López-Marino, S.; Placidi, M.; Pérez-Tomás, A.; Llobet, J.; Izquierdo-Roca, V.; Fontané, X.; Fairbrother, A.; Espíndola-Rodríquez, M.; Sylla, D.; Péres-Rodríquez, A.; Saudceo, E.